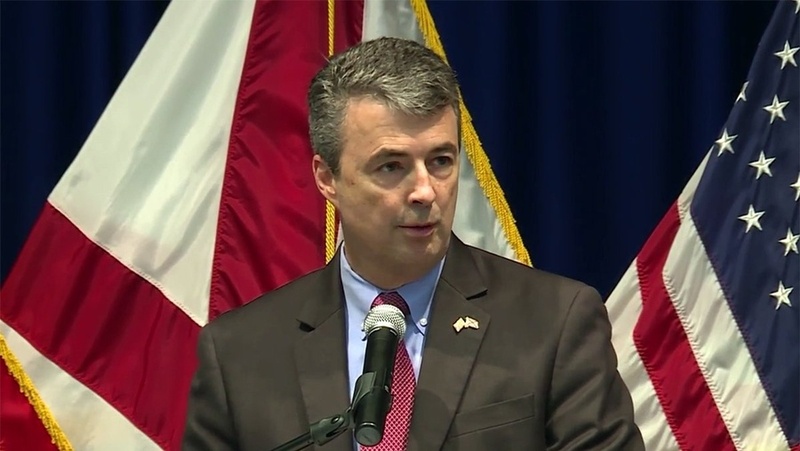 MONTGOMERY – Alabama Attorney Gen. Steve Marshall announced today that the State of Alabama has filed suit against Purdue Pharma, L.P., Purdue Frederick Company Inc., and Rhodes Pharmaceuticals, L.P. (collectively “Purdue”), the manufacturers and sellers of prescription opioid pain medications, including the brand name drugs OxyContin, MS Contin, Dilaudid/Dilaudid HP, Butrans, Hysingla ER and Targiniq ER, as well as generic opioids. Alabama’s complaint asserts that Purdue violated Alabama’s Deceptive Trade Practices Act in the marketing and sale of opioid drugs and, in so doing, jeopardized the public health, welfare and safety of Alabama residents. The State is seeking both monetary damages and injunctive relief. “The opioid epidemic has devastated Alabama families, leaving a trail of addiction and death winding though every community of this state,” said Marshall. “Alabama ranks first in the nation for the number of painkiller prescriptions per capita. As a result, it is estimated that almost 30,000 of our residents over age 17 are dependent upon heroin and prescription painkillers. Alabama’s drug overdose death rate skyrocketed by 82 percent from 2006 to 2014 and it is believed that many of those deaths were from opioid painkillers and heroin. On Aug. 8, 2017, Gov. Kay Ivey named Marshall co-chair of the Alabama Opioid Overdose and Addiction Council, a council that the governor established to “develop and submit a strategic action plan to the governor by Dec.31, 2017, that establishes recommendations for policy, regulatory and legislative actions to address the overdose crisis in Alabama.” That council issued its 74-page Action Plan on Dec. 31, 2017. Marshall also attended a court-ordered settlement conference in Cleveland, Ohio, on January 31, 2018. Click here to read the complaint and contingency contract.